If you have a laptop that is not charging enough even after the long hours of charging, call us. There can be a problem in the charging port, power cord, battery, or the electrical connections. Our team would visit your office or home and check for the exact reason of battery not charging. For example, if you are working with your laptop in the office and you need to go urgently for a meeting with your laptop, you suddenly find that your laptop battery is low despite charging it for 2 hours. What will you do? You will start cursing your laptop. Don’t do that!!! In fact, don’t waste your time in doing that. Just bring your laptop to us, and we will check the entire system for any kind of flaws. 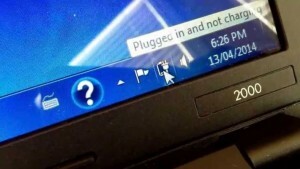 There can be a problem with the charging port of your laptop, or there can be an issue with the power cord. We repair or replace the entire charging system according to the needs and demands of the situation. We give quick services to our customers so that their work isn’t suffered at any cost. We value your work and take care that it is not hampered due to our teams’ negligence.